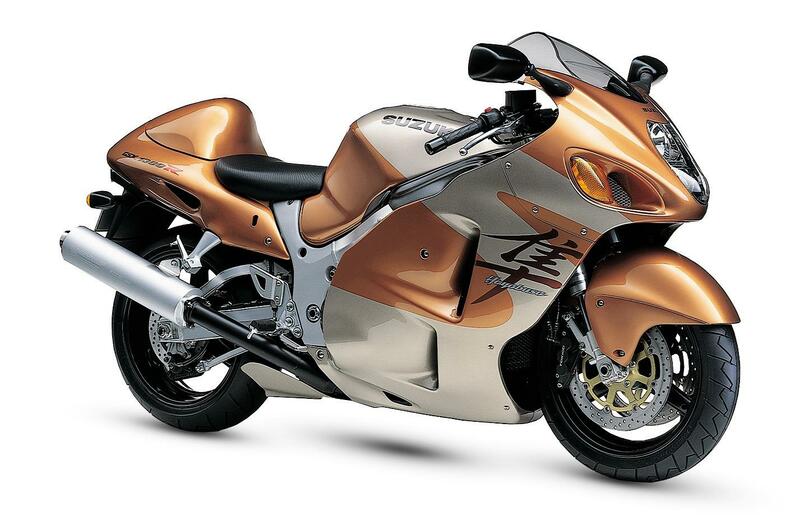 The Suzuki GSX1300R Hayabusa was designed with the sole intention of being the fastest production motorbike of its day. It was one of the bikes that led to the ‘gentleman’s agreement’ between manufacturers that road bikes would be limited to around 186mph and as a result it would become the fastest production bike of the 20th century. Honda had perched atop the list of fastest production motorcycles with the Honda CBR1100XX Super Blackbird since 1997, having ended the rein of the Kawasaki ZZ-R1100. The name ‘Hayabusa’ is the Japanese word for peregrine falcon, the fastest bird on the planet that also happens to prey on blackbirds. 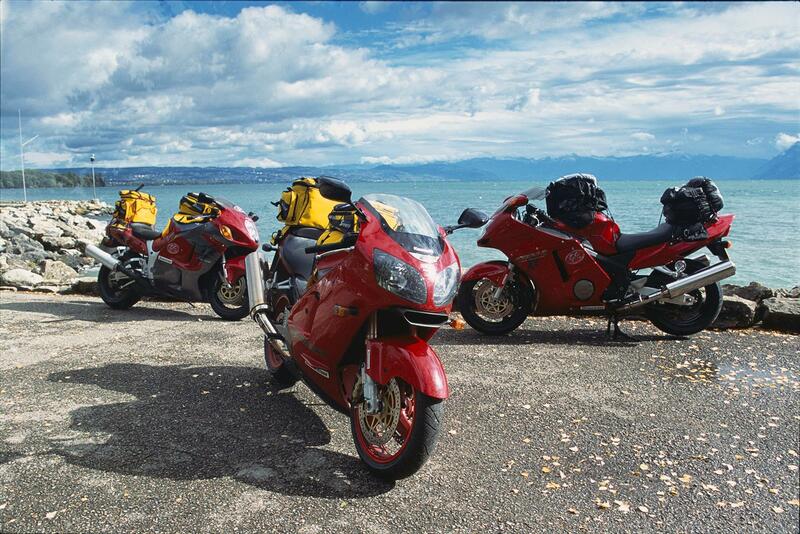 With a top speed (before 2001) of 199mph, the Hayabusa certainly achieved its target but it actually makes a competent touring bike too. 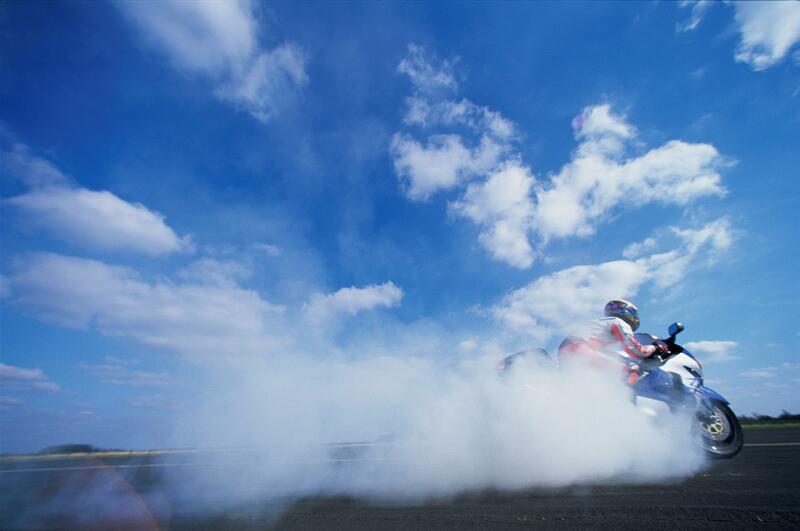 Outright top speed has become a moot statistic on modern superbikes with most getting close to the 186mph mark. But back in the 90s there was an arms race between manufacturers to keep topping the chart. By the time the Hayabusa came along and with top speeds approaching the 200mph mark, regulators and politicians in Europe had started to hint at possible import bans. To pre-empt the issue, the manufacturers agreed that they would limit their production bikes to 300kmph (around 186mph) from 2000 onwards. The original Hayabusa was an incredibly powerful motorcycle in its day (and now, for that matter). Top end sportsbikes like the Honda CBR900RR FireBlade, Kawasaki ZX-9R and Yamaha R1 were pumping out between 135 and 150bhp but the Hayabusa used its 1299cc in-line four engine to produce 175bhp. The Busa achieved notoriety beyond the biking world as a speed machine, with stories of upgraded versions approaching 200mph. Despite its infamous reputation, the Hayabusa is actually a very comfortable bike to ride. It makes a great sports-touring option (apart from eating a rear tyre every 1500-2000 miles) and can accommodate throw over luggage and a pillion comfortably. The soft suspension is anything but sporty and the bike can squirm under heavy braking, not helped by its 215kg weight but that is the only real weak point. From 2001, the Hayabusa was limited to 186mph as per the gentleman’s agreement, but before this it was recorded at speeds over 190mph. Clearly what the Hayabusa needed was more power… So, in 2007 the engine was bumped up to 1340cc and power output was increased to 194bhp. This version also got upgraded suspension and a stiffened swingarm which improved handling slightly. The shock and forks were also fully adjustable. New radial brakes improved the stopping power and did away with the fade that could affect the outgoing model, especially from high speed. But they could be better (and probably should be given the bike’s performance). Opening the throttle on a Hayabusa isn’t for the faint-hearted but despite its brutal power, everything remains stable and controlled due to its size and weight. 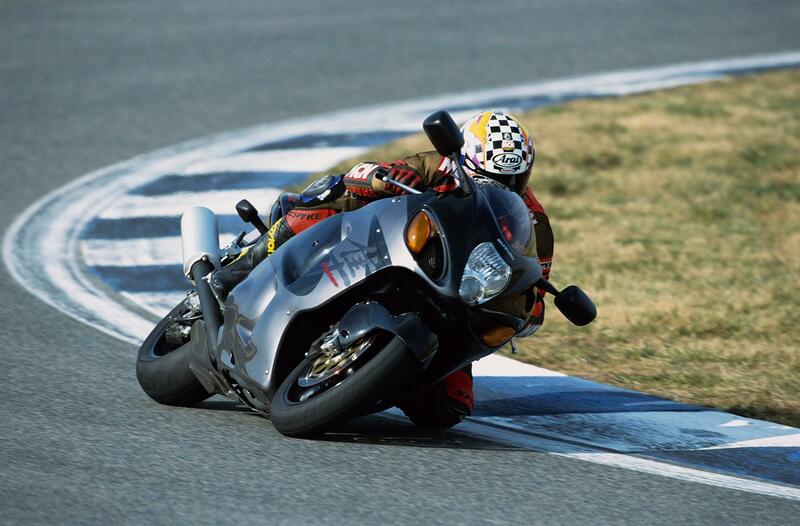 The Busa has been around since 1999 and so has seen a lot of competition over the years. 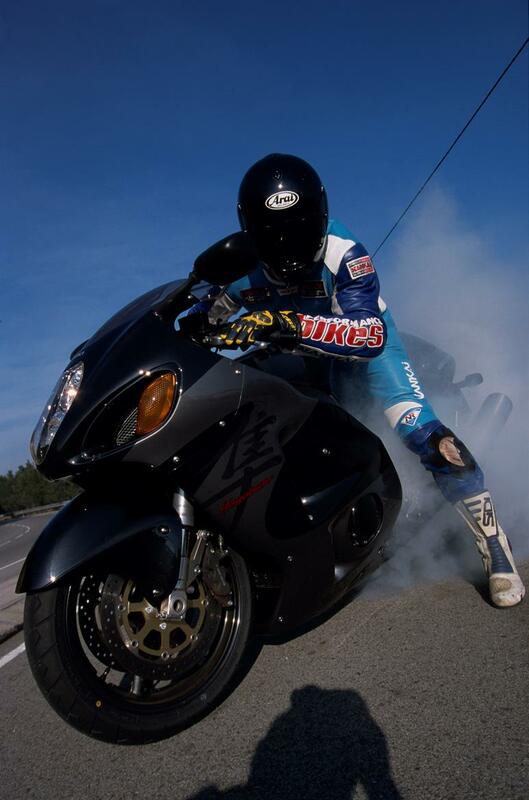 When it was launched, the main competition came from the Honda CBR1100XX Super Blackbird and the Kawasaki ZZ-R1100. One of the Hayabusa's most persistent rivals has been the Kawasaki ZZ-R1400, which was first released in 2006 and upgraded in 2012. The Kawasaki has the all-round capability of the Suzuki with even more power on tap. 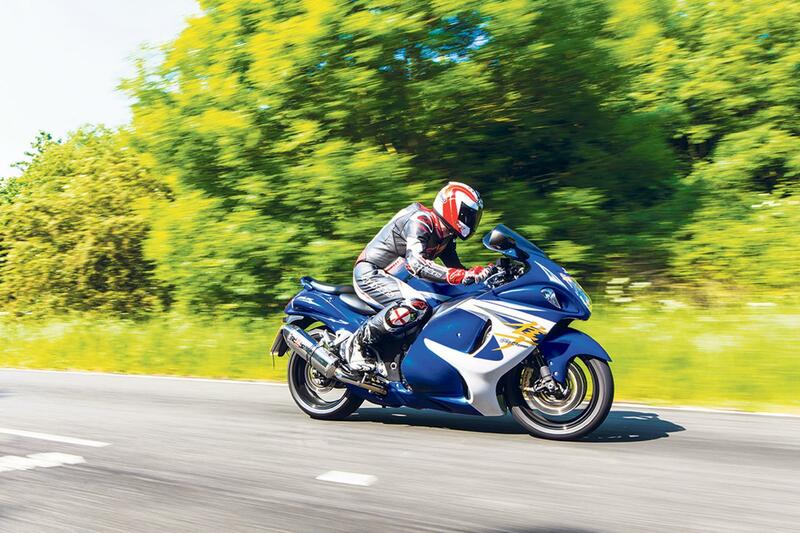 Things have moved along considerably since the Hayabusa got its last significant upgrade in 2007 and these days bikes like the Kawasaki H2 SX are leading the charge (or the supercharge, as it were). The basic Kawasaki H2 SX costs £16,399, however, compared to the £11,599 starting price for a Busa. The whole concept of a sports tourer has also been challenged by the on-road capability of a new breed of adventure bikes such as the BMW R1200GS, Ducati Multistrada and BMW S1000XR that combined genuine performance with long-range comfort.